Asian inspired seafood bisque (gluten free) « Delish Home Cook - Asian inspired, FODMAP, gluten free and more.. I love bisque – I can’t think of another soup with so much flavors. 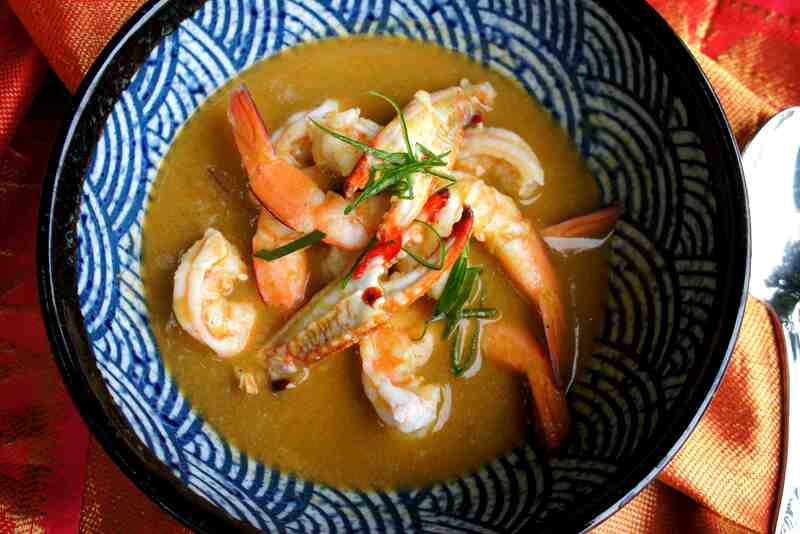 My seafood bisque has added Asian flavors – lemongrass, chills, ginger, shallot & coriander. The flavor is intense & irresistible. This entry was posted in 1. Delicious Asian Food, 2. Speical diets, 4. Fusion / modern, All posts, Gluten free, Seafood, Soups (Asian) and tagged Asian food, Asian prawn soup, Asian seafood bisque soup, Asian seafood crab prawn fish soup, clean eating, home cooking, lemongrass seafood soup, Recipe.